Tangled, twisted, crusty, long or short, burnished or dull, motley browns, languishing or fried–such are earthworms impaled on sidewalks by July’s heat. Questions arise: why do some earthworms vacate moist soils, their natural environment, following downpours? Some say it has to do with breathing. The earthworm needs oxygen just as humans; it breathes through special skin, protected by a thin cuticle and kept moist by slimy mucus. This enables it to absorb the oxygen it needs and to expel the carbon dioxide, a process called diffusion. 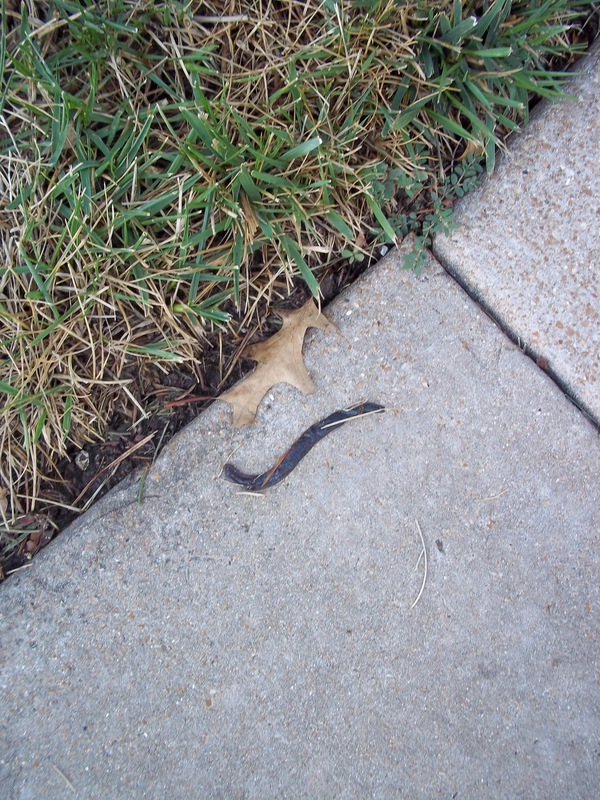 But if rain saturates its environment, the earthworm cannot breathe and escapes to sidewalks. Certain death occurs if the sun dries it up, because the exchange of gases can’t take place. Others hold that the baked earth also compels the earthworm to flee. Such stark reminders give me pause during walks around the neighborhood–to be mindful of the gift of life as it evolves, to provide adequate self-care, and to hone my time-management skills lest my spirit wither and die. First things first.